If you aren’t already using multimedia devices on your travels, you’d be surprised at just how useful and productive they can be when you’re out of town. 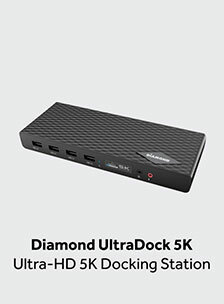 In this article, we’ll look briefly at 3 Diamond Multimedia devices essential for traveling. 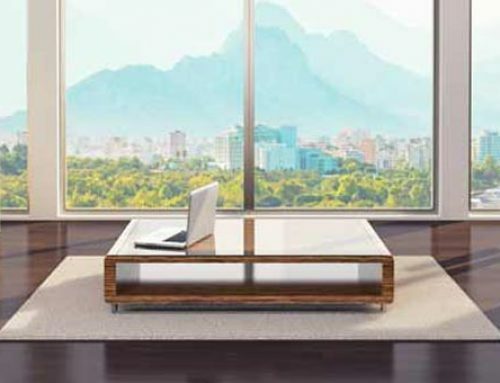 Whether you’re at business meetings or on vacation, they can be used just about anywhere. You can easily carry them in your purse or briefcase as you’re running down the airport terminal trying to catch that flight. 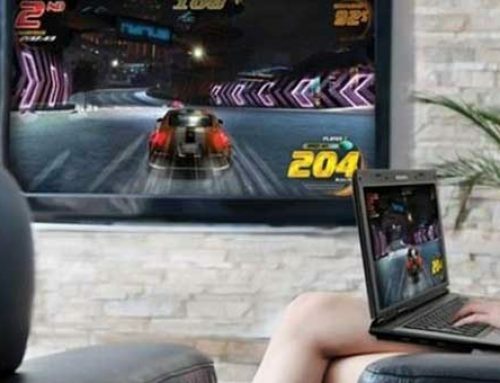 Their small, lightweight, compact designs fit in the palm of your hand and are compatible with your laptops, Ultrabooks, and your mobile devices. 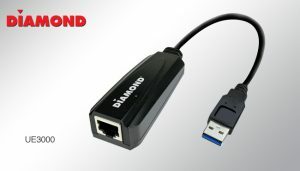 The Diamond UE3000 is a high performance, simple plug-and-play Gigabit Ethernet network adapter for desktop PC’s, laptops, Ultrabook’s®, docking stations, game consoles, digital-home appliances, and any embedded system using a standard USB port. 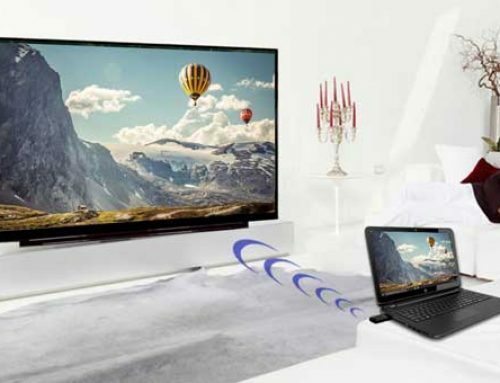 It features a 10/100/1000 Mbps connection speed which can greatly boost your web surfing. 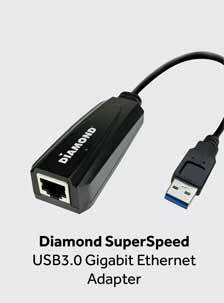 The built-in Ethernet adapter can be a life-saver if and when your laptop’s network card decides to die without notice. 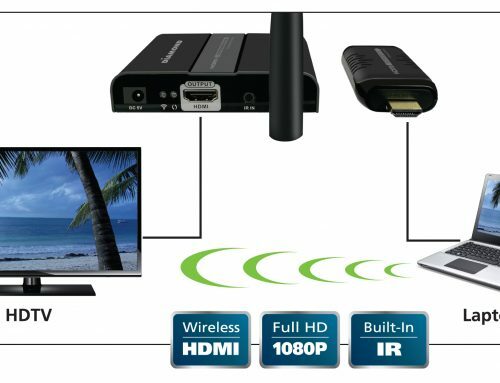 If your laptop only supports wireless and you’re uncomfortable with the security of your hotel’s WiFi, connect the UE3000 to the Ethernet cable in your hotel room and set up a more secure network with the hotel’s wired network. 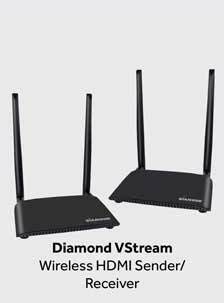 The Diamond WR600NSI is a Dual Band 2.4GHz/5.0GHz Wireless Range Extender and repeater that allows you to repeat and extend the wireless coverage of your existing WiFi network. My co-worker uses this himself while traveling. Every summer he rents the same condo on his favorite lake for a week. His wife and kids need WiFi access but the owners of the condo will not let him use their WiFi Network. So he configures the repeater as an access point and hardwires it by Ethernet to one of their router’s Ethernet ports, providing his entire family with wireless internet. 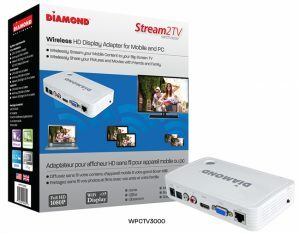 The Diamond WPCTV3000 – Stream2TV is a device designed to stream content from your smartphone or tablet to any Large-Screen TV, wirelessly. All in 1080P HD quality. Mainly used for entertainment purposes, I can watch online movies and videos from my mobile device on a hotel’s TV. But since it has a VGA port, I can also use this device to stream useful informational content to a larger audience using a projector. Hopefully, these products will give you some ideas to help you work, provide some entertainment and set up presentations while you’re traveling. The more you use these compact and innovative multimedia devices, the more you’ll realize just how valuable they are when you’re on the go. 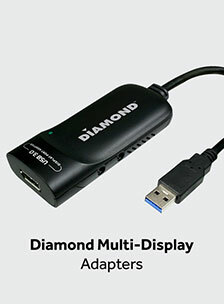 For more information on these and other really neat multimedia products, visit www.diamondmm.com.